THE SAINTS will visit Dalmore Park this Saturday, welcoming several players back into the squad as they look to get back to winning ways against Alness United. Recent acquisitions Cameron Mackintosh and Sam Beeston, who both confirmed their signings with club on Wednesday, will be available for selection. Also, Liam Rostock, back in training following his pre-season injury, could also be set for his competitive debut. Lewis Ross, returning from a spell working off-shore is set to return, alongside his fellow tricenarian Graham Noble, who has now completed his return to Tain following a house move. 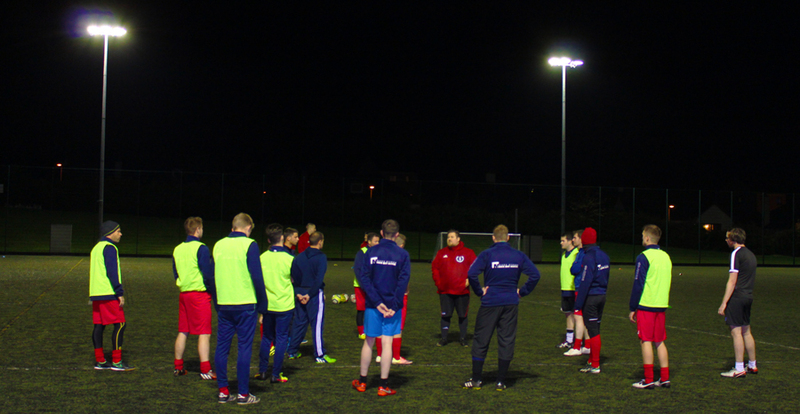 Manager Stuart Ross will no doubt have a selection headache ahead of him on Saturday, with no fewer than eighteen players in attendance at training midweek for an impressive session at the Tain Royal Academy Community Complex -- and the manager has made clear the mission for those that will be selected. We can't wait to get back to playing football after having a free weekend last Saturday. The boys have been working really hard in training and are raring to go on Saturday for what will be tough test. Like us, Alness will be a young side, but Tommy Regan will no doubt have his side well drilled and they'll be itching to recover from their result last week. We'll be looking to make up for the loss up in Thurso and a game close to home will be the perfect setting for the lads to do that, and bring the three points back to Tain. Albeit veterans of the North Caledonian League, Alness United are a young and vibrant side who have shown their capability and resilience already this season with an impressive 0-0 draw against current champions Halkirk United in September, and a narrow penalty shoot-out loss to Shetland. They find themselves bottom of a tightly contested league, but will no doubt be looking to this weekend, a home game against a neighbouring club, as a way to climb the table.